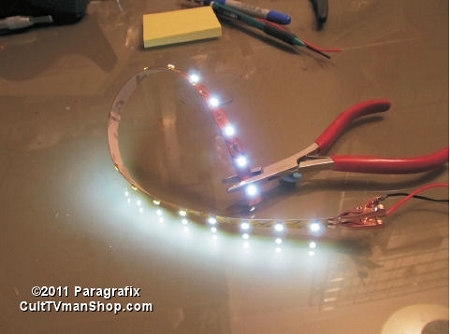 EasyLED is a flexible strip of mounted LEDs that can be cut down in size and easily connected to a power supply to light your models. 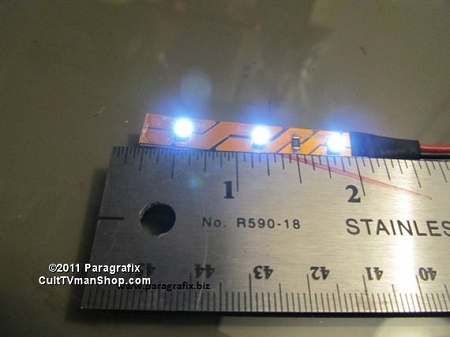 Operates at 6 to 12 volts. 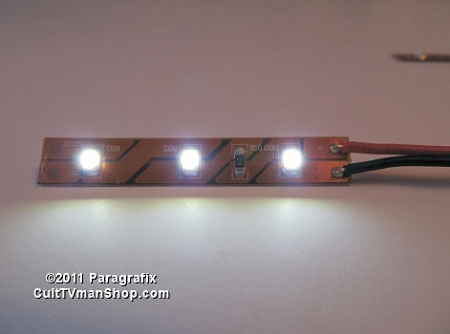 The higher the voltage, the brighter the lights. 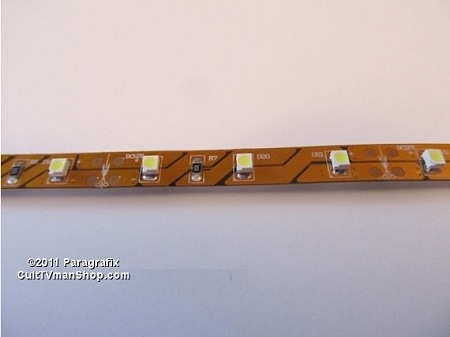 This 24" strip contains 36 Blue LEDs and can be cut down in size to 2" segments with 3 LEDs. You provide the power supply. Includes illustrated instructions.